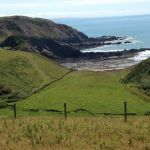 A working farm situated on the coastal path enjoying the spectacular coastal scenery near Hartland Point in North Devon. 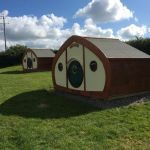 The family have farmed in this area for generations and they aim to offer you an unique camping ground, with good facilities, plenty of peace and quiet, to enjoy this ‘off the beaten track’ and unspoilt area of coastal Devon. Also lovely PixieHuts and a B&B en-suite room in the farmhouse. 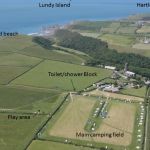 The flat camping fields overlook the sea and cover an area of over 12 acres which allows for plenty of space, where you can choose your own pitch. A new toilet block, building for washing up, laundry room and an on-site shop. A short walk down to Hartland Quay for a welcoming pub, historical harbour., which is where the National Hill Climb event is held in April. There is plenty to do and see around Hartland from the beautiful scenic South West Coastal Path to the historic Hartland Abbey, Docton Mill, Lundy Island and Clovelly; one of the most famous villages in the world, with its single cobbled high street that winds its way down the hillside through traditional whitewashed cottages festooned with fuchsias and geraniums. Previous visitors said “One of the best campsites I have stayed at. Site itself has loads of room with well stocked shop with local produce. We had great west-facing views over the Atlantic, clean facilities, friendly staff and lots of things to see and do in Hartland and surrounding areas. Great views of Lundy!" With a fantastic range of self-catering holiday cottages throughout Devon with space to keep a motorcycle, Stay In Devon is a perfect accommodation provider. Lots of destination to stay, including Barnstaple, Bideford, Dartmoor, Exeter, Ilfracombe, Paignton, Plymouth, Torquay, Woolacombe (pictured) and Westward Ho! The accommodation includes a great range of larger homes, ideal for you and friends to park up after a good days riding. Head over to the website and take a look at the fantastic selection of holiday cottages! 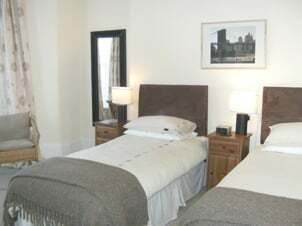 where: A range of accommodation in North, Mid and South Devon. A short stroll along the seafront will bring you to the Barbican, the heart of Plymouth's long maritime history, from here the Pilgrim Fathers set sail on the Mayflower. Browse in the many art galleries, craft workshops and quirky speciality shops before stopping for a restorative tea or coffee in one of the area's quaint tearooms. You will find yourself spoiled for choice with restaurants and bars to suit every taste and budget where you can choose to dine inside or out. If you want to get away from the buzz of the City, a short ride will find you on Dartmoor (one of the largest National Parks in Britain) or a five minute ferry trip across the Tamar will take you into Cornwall. Free Wi-Fi in the rooms. Secure yard for parking up to six bikes. Biker Friendly Accommodation in Devon, England. Hotels, B&B, guest houses, cottages, hostels, camping. Ideal for touring! Devon, Paignton Zoo, Torbay Quad Bike Centre, Kents Cavern, Greenway house, the private holiday home of the famous and much-loved author Agatha Christie, Exmoor National Park, Paignton, Devon, Barbican, Captain Jaspers Cafe, West Hoe, Plymouth, Cornwall, Eden Project, Yelverton, BMAD Paignton, Dartmoor National Park, Exeter, Bicton Park Gardens, the ports of Plymouth and Weymouth., edge of Dartmoor National Park, Devon. Great riding across the Moor, Cornwall and Eden Project, bikers welcome, near to the A38 in Chudleigh, secluded and very secure. Ideally located to tour Exeter, Dartmoor and South Devon, in the centre of Tiverton, in the conservation area, close to all the town facilities. foothills of Exmoor, set in acres of rolling Devon countryside, Woolacombe, Saunton, Ilfracombe, Clovelly, Arlington Court, Barnstaple, Minehead, Rosemoor Gardens, Castle Hill, Dulverton, West Down and only five miles from the Somerset border. A local pub within a short stroll and also pubs, restaurants, take-aways and cafes in nearby South Molton.